Wash Bag M - Dispatch time 1-3 workdays Wash Bag M - Dispatch time 1-3 workdays Dispatch time, what's this? 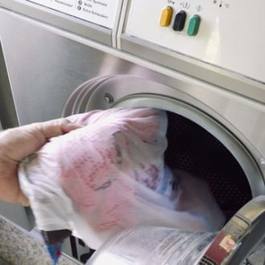 A washing bag capable of catching micro plastics. As research has shown, micro plastic has become a real problem. The Guppyfriend wash bag stops up to 99% of the micro plastic from entering natural waters from your washing machine. A beeswax-based wax for treating Fjällräven G-1000 products. A high quality washing agent for technical clothing.